Biological materials collected from patients provide critical sources for a host of applications that include basic research, drug discovery and validation, and even companion diagnostics. Thus, collecting, maintaining, and tracking biological specimens stored in repositories require development of rigorous standardized operating procedures (SOPs). Key challenges facing biobanking include carefully and precisely obtaining the tissue or tumor sample, appropriate handling and processing, and documenting the history of patient samples. CHI’s recent “Leaders in Biobanking Congress” meeting discussed these and other issues affecting the industry. Because more than 80% of drugs fail in clinical trials, there is an urgent need for improved predictive preclinical cellular models, indicated Florian Unger, Ph.D., scientist, drug testing and proteomics, Indivumed. “The problem is that most current cellular models do not comprehensively represent patients’ tumors. There are a number of reasons why. “The first issue is that individual tumors are very heterogeneous in their composition of cell types and within the same type of cancer. A second important consideration is the absolute need for a process that consistently and rigorously regiments the collection of specimens to minimize artifacts of sample collection, e.g., ischemia time. The access to viable tissues of high quality is the key for creating better models. According to Helge Bastian, Ph.D., managing director and chief commercial officer, there is a trend for outsourcing the collection, processing, and annotations of biobank samples. Tumor samples also can serve as a source for viable organoid tumor cultures. These can be used to create a human tumor model system in vitro that represents the heterogeneity of patients’ tumors for subsequent preclinical drug testing. Dr. Bastian said the company’s ultimate goal is to quickly translate new scientific discoveries into the practice of medicine by supporting the development of the best possible and individualized diagnostic and therapeutic solutions, especially targeted at cancer. Indivumed offers various types of tissue preparation. 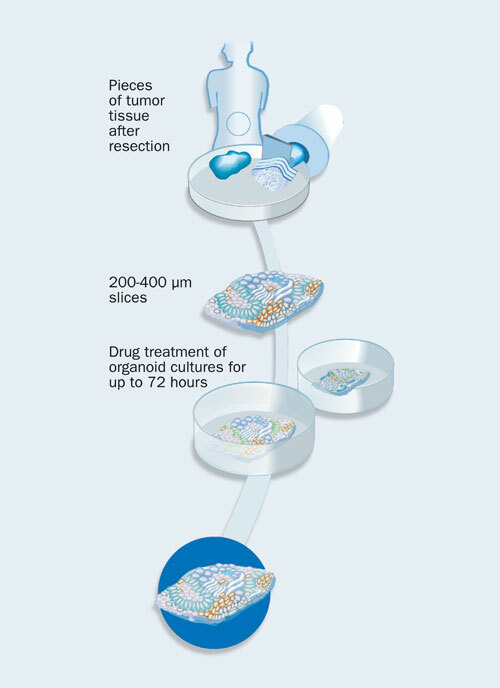 These services are complimented by standardized techniques for the isolation of DNA, RNA, and protein from different tissue types or of single cell populations by laser capture microdissection. The safety, integrity, and accurate tracking of samples stored en masse in biobank freezers is of paramount importance, noted Martin Frey, Ph.D., head of storage technology market segment, Hamilton Bonaduz. Hamilton decided to solve this problem by developing a new robotic system. “We’ve just released our new ultra-cold automated sample storage system, BiOS, which has the distinguishing feature of providing robotic handling and retrieval systems that are constructed to ensure that samples stay close to -80°C while being picked. Aside from temperature, Dr. Frey explained that other critical issues include sample tracking and auditing. “More and more journals are now requesting documentation, validating sample quality. Therefore, we also offer easy-to-learn sample-management software providing audit trails and temperature logs. 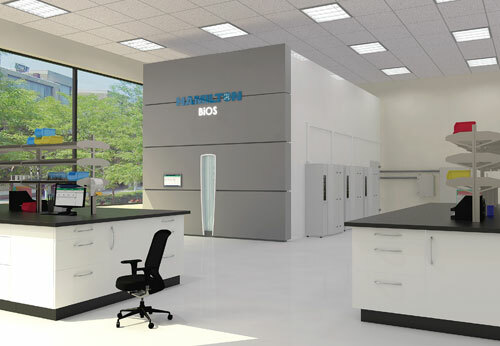 Hamilton Storage Technologies’ BiOS system is an automated sample storage system designed to store sensitive biological samples at -80°C. One key feature is the ultra-low temperature tube picker to ensure samples stay close to -80°C while being retrieved. BiOS allows storage for 100,000 to over 10 million samples. A newly formed collaboration—The Bioprocessing Solutions Alliance—pairs the commercial arm of Rutgers University Cell and DNA Repository (RUCDR Infinite Biologics) with Biostorage Technologies. “This partnership provides the bioscience industry with a state-of-the-art scientific approach coupled with the technology infrastructure for delivering integrated biobanking and analytical solutions and advanced sample bioprocessing,” said Andrew Brooks, Ph.D., COO of RUCDR Infinite Biologics and associate professor of genetics. Dr. Brooks noted that the strategic alliance encompasses all of their biorepository functions including a host of services such as tissue collection, clinical sample bioprocessing, nucleic acid extraction, cell-line establishment, sample-management consulting, and, of course, sample storage. “We also provide a host of analytical services including gene expression analysis, next-gen sequencing, genotyping, and bioinformatics. Kristina Robson, Ph.D., senior director of comprehensive solutions at BioStorage Technologies noted that the alliance comes at an opportune time. “There are significant changes in the industry. More and more emphasis is being placed on evaluating tissue samples to identify biomarkers for diagnostics as well as for assessing treatments. Yet at the same time, we are also seeing a move to downsize and streamline operations to provide more cost-effective solutions. Dr. Robson said the alliance also leverages the company’s sample management system, the Intelligent Specimen Inventory Storage System (ISISS®). According Dr. Brooks, an alliance of this magnitude required overcoming a number of challenges. “We wanted to have a smooth, streamlined integration of operations between our two businesses. 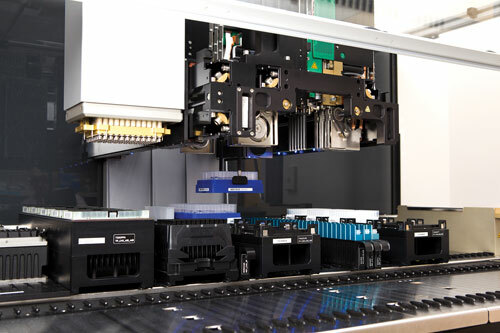 To accomplish this complementary effort, we have incorporated the ISISS system with our existing technology and workflow in order to deliver a streamlined view of sample inventory from the research bench to storage. An alliance between BioStorage Technologies and RUCDR Infinite Biologics has reportedly provided an integrated, state-of-the-art scientific approach and technology infrastructure for the delivery of advanced sample bioprocessing and biobanking solutions.